Warning! College-Paper.org is a part of Universal Research Inc. essay writing services network, notorious for the breach of contract and selling essays that have already been sold in the past. 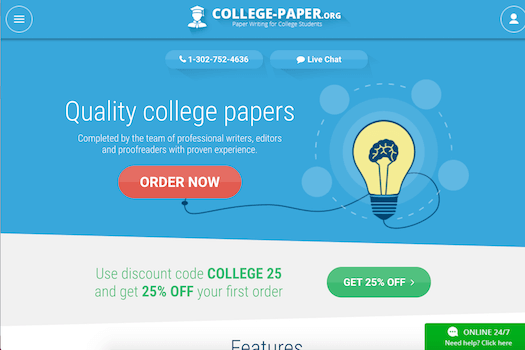 Much like other sites mentioned above, College-Paper.org (College-Papers.org) also offers the same – high prices, unmotivated writers, average quality papers which isn't surprising given the fact that College-Paper.org is owned by Universal Research Inc.
With that in mind, I recommend reading my detailed review of BestEssays.com essay service since it's identical to College-Paper.org. And with fake review platforms that make fake positive College-Paper.org reviews, it's transparent that you're taking a big risk when it comes to your academic career with this site.